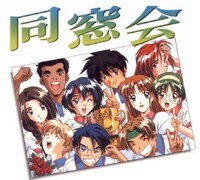 Plot Summary: The members of the tennis club at Sakura Junior High School. Have a class reunion on New Years Eve. They’re all twenty, and Mizuho is happy to get to see Tatsuya again, her secret love. At the reunion, they plan to stay at Mizuho's mother's lodge in the hot spring resort for a ski trip. Unfortunately, however, Mizuho's mother's become ill. She doesn't know whether she should care for her mother or finally give her self to Tatsuya.